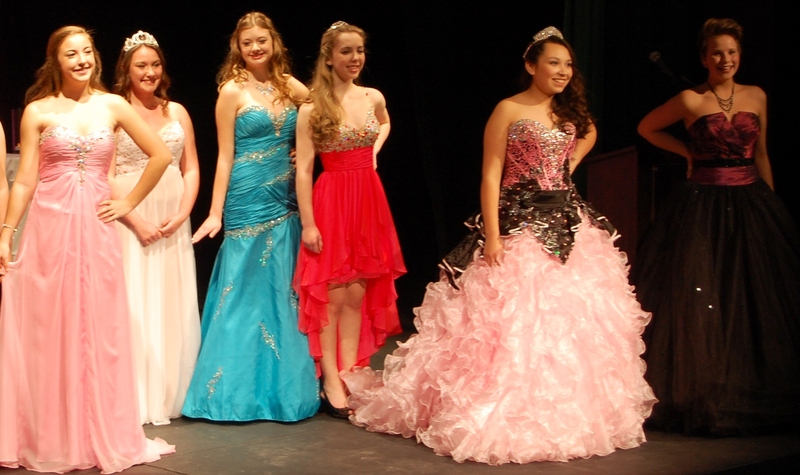 Last Thursday was the SHINE fashion show in support of SADI. More than 200 tickets had been sold, and it is safe to say that a splendid time was had by all. I certainly had a wonderful time handing over sweet thing after sweet thing to people going weak in the knees from the wafting cloud of sugar drifting around the room. Something to think about: our twin group, the Edinburgh Bakers, often do charity events in which participants can either be Bakers or Eaters. Bakers pay £5 to attend and can still eat goodies, and Eaters pay £10. All the funds go to their chosen charity. We’ll be doing something similar in February for Cafe Noir with the Art Gallery and Potters Guild. Bakers will get a discount on the ticket price, and we still get to eat chocolate and take home a made-in-Summerland mug – how cool is that? If charity events are of interest to anyone, let me know and perhaps we can choose a few community fundraisers to support each year. It’s a such a blast, and fewer calories because you’re sharing! On to SHINE! 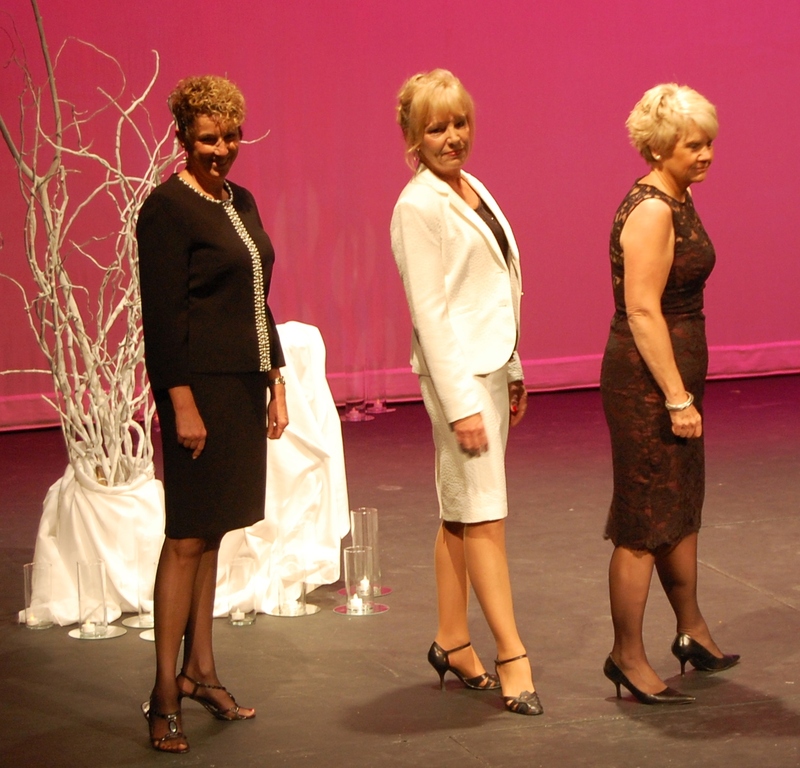 Coco’s Collections provided all of the outfits for the models – they were stunning and everyone did a brilliant job. To all the bakers who created the most amazing goodies in the land, Thank you! You have no idea how much they were enjoyed. Now for a slew of photos to make you drool! We start with a mystery. Apparently these were made by the mum of one of the models. All I can say is who is this woman and why is she not in our club? 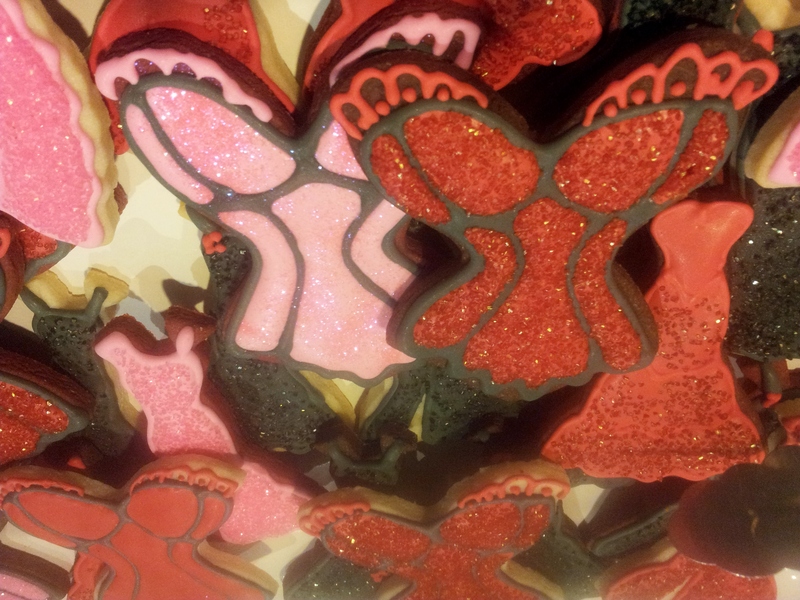 Look at these cookies! Look at the detailed icing! Look! 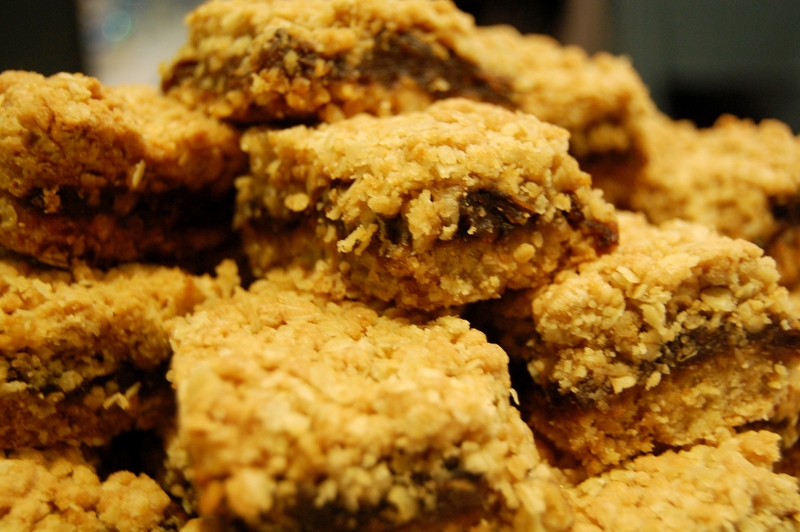 Next we have Janice’s Date Squares, which drew people in like a magnet. It was like they were hypnotized – it was amazing to watch. “Matrimonials!” they cried, going on to explain that their mother/grandmother/aunt used to make them. Some people came back for seconds – that’s how good they were. You want to eat one now, don’t you? I knew you did. 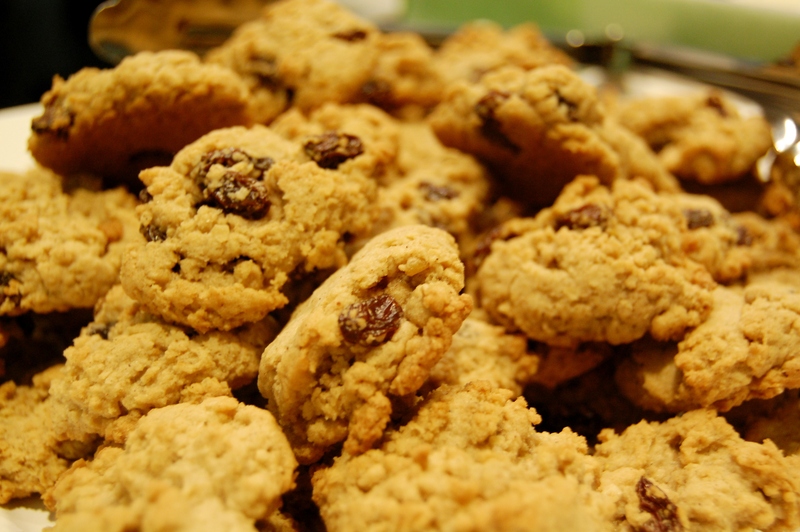 Jane’s Oatmeal Raisin Cookies, because you need to be a little bit healthy! 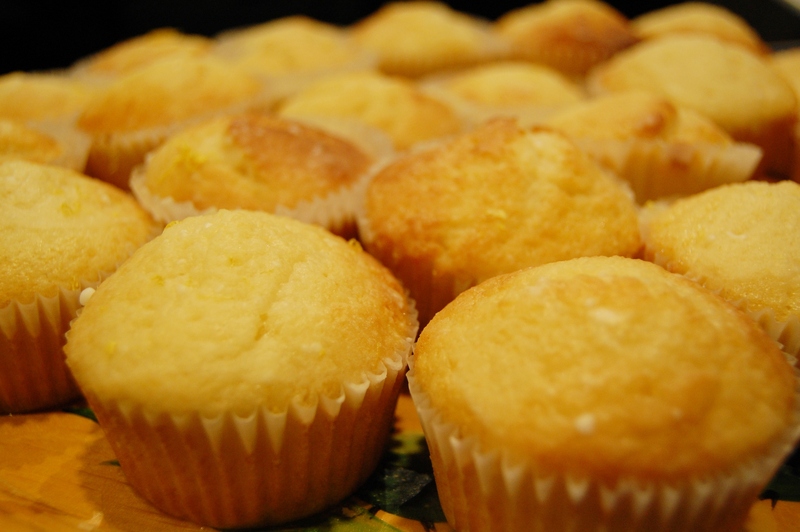 Lisa J’s Lemon Cupcakes with Lemon Drizzle. 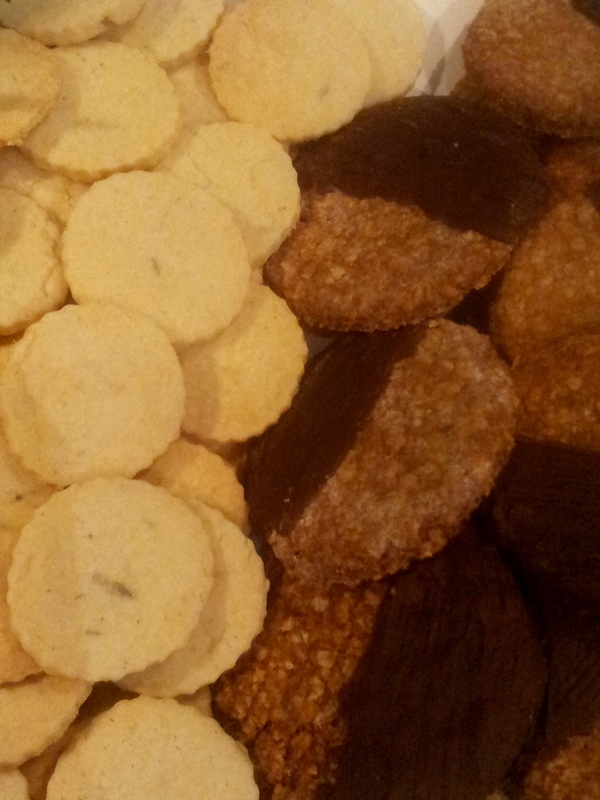 Lory’s Lavender Shortbread (so dainty and delightful!) and Chocolate Dipped Cookies. 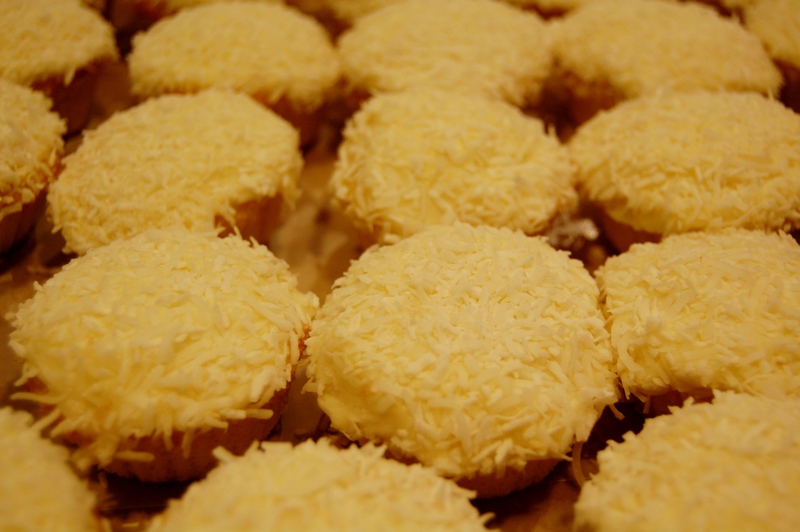 Sandra’s Lemon Cupcakes with Coconut. These didn’t last long. 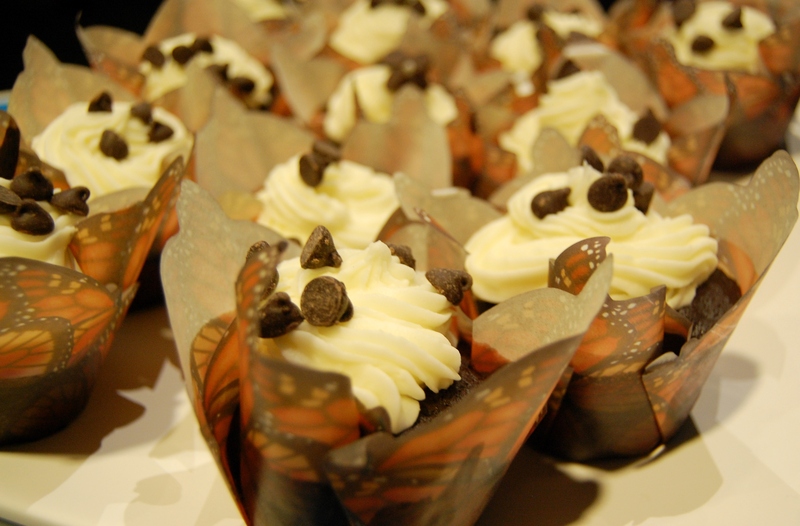 Sophia’s Chocolate Cupcakes with Vanilla Cream Cheese Icing. I attribute their success to the fancy paper. 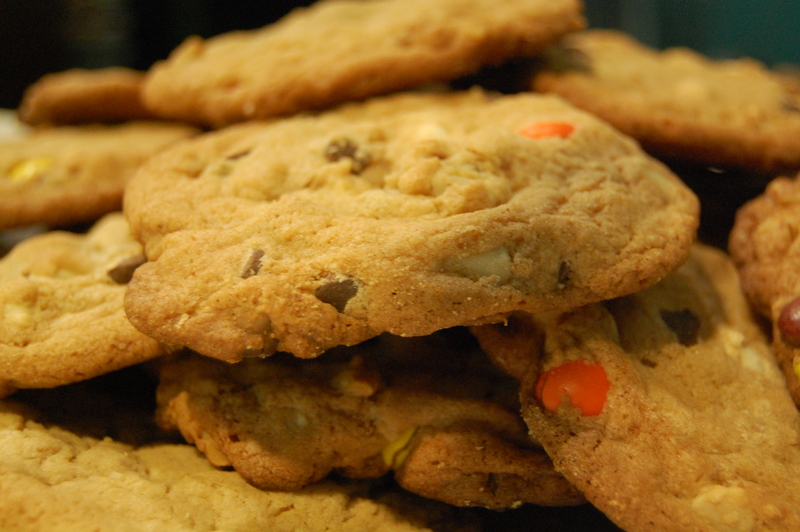 Jumbo Reese’s Pieces Chocolate Chip Cookies, baked by Chantelle! The teenagers ate them all and I didn’t get to try one. 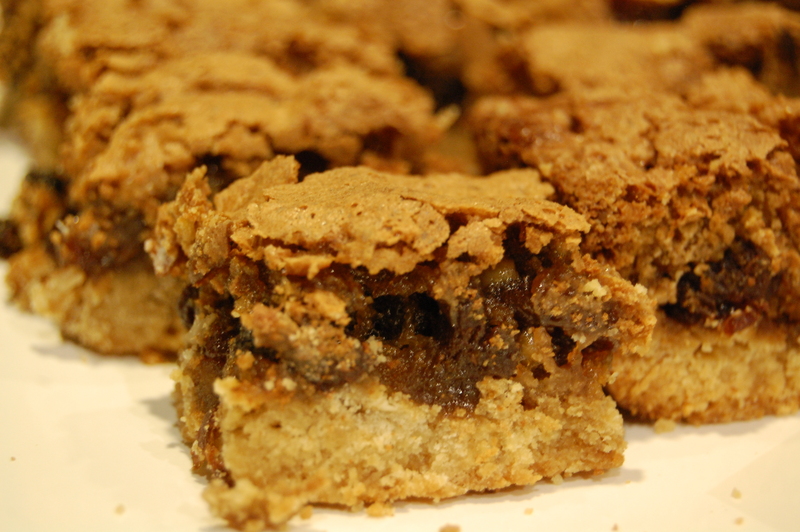 Jean’s Buttertart Bars. Don’t they look full of gooey goodness? 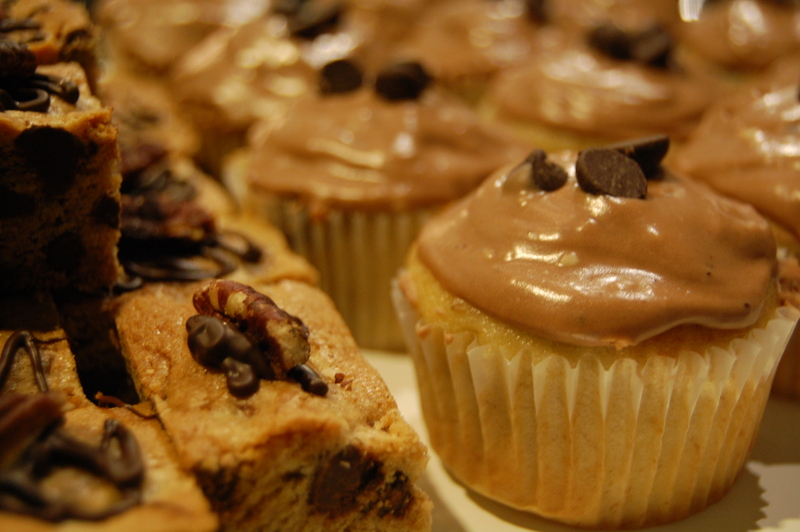 Christine’s Chocolate Chip Blondies and Lisa J’s Banana and Chocolate Chip Muffins. Sophia’s Millionaire Shortbread. I called them “square diabetes,” but it didn’t seem to put people off. 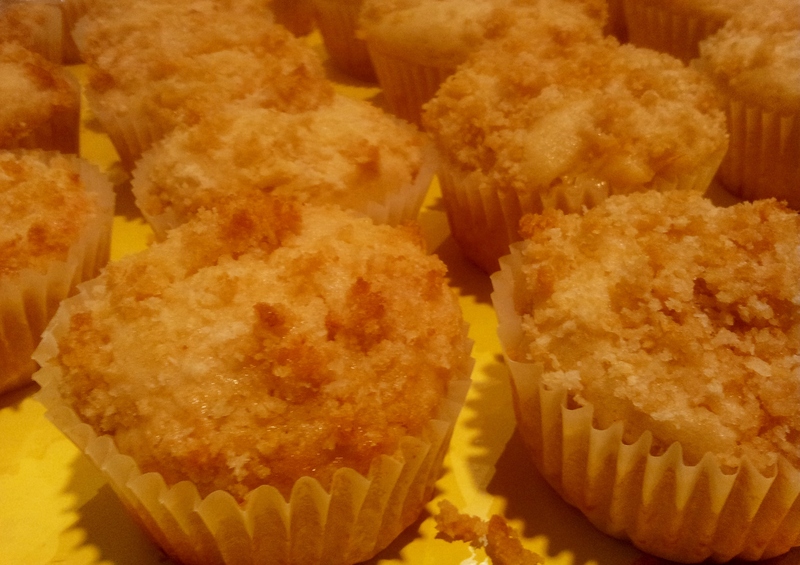 Lisa J’s Pineapple Crunch Muffins. Lisa baked like a mad woman! My photo of Janice’s Marble Cake did not turn out. Can you blame me – I was so high on adrenaline and sugar, we’re lucky there are any photos at all. Here is one more, courtesy of Erick from ET2media. Don’t I look just a little bit nuts? I am the face of the Sugar High. Call for bakers! 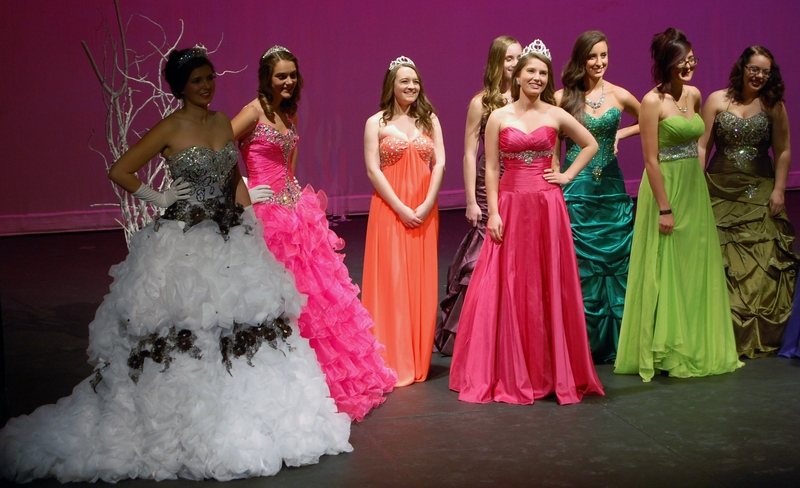 SADI fundraiser needs your talent! For our November event, we’re doing something new and going where we’re kneaded the most. What: Bake for 300 people. I know that seems like a lot, but I know we can do it. 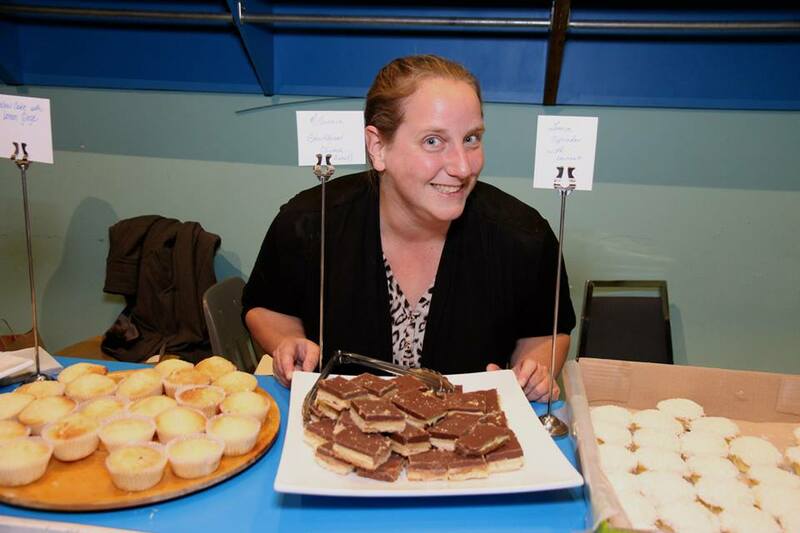 Primarily they’re after baked goodies that can be hand held: cookies, cupcakes, pre-cut tray bakes (brownies, Nanaimo bars…), etc. 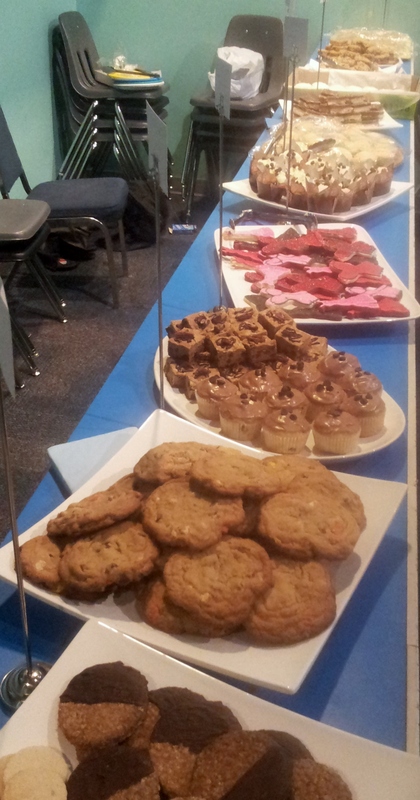 If we all bake a few dozen goodies, we’ll hit 300 in no time. If you want to be fancy, go right ahead – it’s up to you. If you would like to take part, please email me at pleasebringcake@gmail.com and let me know what you’re baking and how many. This way we can create a lovely selection for the evening. If you would like to bake more than one thing, that’s great, too! Share: The more bakers, the merrier! Please share this post with your Summerland network to help us reach this goal. Finally, see below for ticket details. Thanks, everyone!